When thinking about your business operations, and how do make them smoother with more efficiency, you will likely find that how your office furniture is laid out will have a lot to do with it. 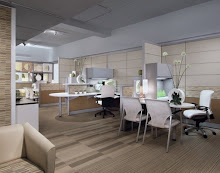 This is where it is good to look at different types of office furniture and see their recommended applications. Office furniture vendors spend millions in research utilizing the latest technologies to design all types of collections that will suit the needs of the consumer. When you have several people in the same space that have jobs that require constant interaction, these types of setups can be quite handy. Furnishings like adjoining desks, transaction counters, and mobile tables & file cabinets are just a few of the many options that will make for more seamless operations. These vary from cubes in that they are not necessarily walled, but rather customized and modular to fit your space best and the needs of your staff. Some are reconfigurable or can be added onto later which will aid in your growth plans. For teams that meet regularly with each other or have frequent and interactive visits from clients, vendors etc there are many options and exciting new products to make these spaces a cinch to use, and in most cases you can also reconfigure them. Many lines of furniture are broadening their reach with innovative ways to store paper, supplies, binders and other items used in the typical work day. Look for collections that have a variety of storage options and think about what you and your employees will need to work better. Accessories like collators, hutches with doors, cubbyhole storage, combination drawers, etc will help you customize your workspaces to maximize each office. Also, look for items like desk mounted holders for binders, monitor arms for one or multiple computer screens, mobile or attaching CPU storage, etc. Visit with local Tulsa office furniture dealers to see some of these suggested workstations on display and how they function. If you have multiple offices to update or furnish, Set up an appointment with a sales consultant at your business so they can help assess your needs and better quote for your needs. Make your workflow better with some aids and you will have happier, more productive employees. A true win-win for everybody. One thing to bear in mind in designing office workflow is that left-handed people will have a different perspective on what feels comfortable than those who are right handed. So will people who have disabilities. 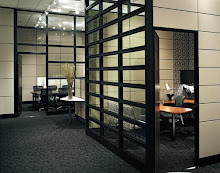 This is one reason universal design is so important in the commercial interior design world. If a particular type of workstation isn't "one size fits all", it should at least be flexible enough to allow for adaptation. Strictly tables and chairs are the UK's leading supplier of folding tables, stacking tables, plastic tables, round tables, catering tables, banquet table and trestle tables. Stacking chairs, banquet chairs or banqueting chairs, metal chairs, aluminum chairs, folding chairs and conference chairs. Our plywood folding banqueting tables are ideal for hotel function rooms, conference centres, training centres, village halls, leisure centres, churches, mosques, synagogues, pubs, clubs and associations, schools, colleges and universities. Our folding plywood banqueting tables are manufactured using specialist processes and techniques that add strength and durability. The most essential part of any table that is used regularly is the quality of the leg locking mechanism. Our folding plywood banqueting tables have a heavy duty leg locking mechanism, once they are locked they stay locked. They arrive fully assembled and have an industrial PVC edging which enables them to be easily manoeuvred and handled. If you have achieved some success in your business, then you must understand that the interior of your office must match your level of business. 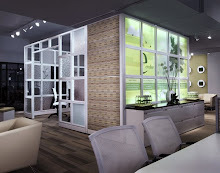 This helps you to see the result of your success not only in the financial report, but also in your interior. I have understood this for a long time and never stop on what has been achieved. For a long time I buy furniture from store lacomfy, it gives me a good bonus in the form of discounts for regular customers. 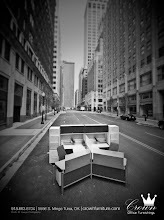 Modern office has the great design of furniture. Get the whole new collection of new furniture and office partition screens from the online store for the new design of furniture.